With few exceptions, disease and dysfunction do not appear overnight. Disease and dysfunction tend to develop slowly, usually over many years as subtle and overt signs that mark loss of health are ignored. I have found that many people feel that they are fine until they get diagnosed with a named condition like diabetes or hypertension. The reality is that degeneration is a fact of life - with each passing day, we lose some of our health potential. It's the pace at which our bodies degenerate that we influence through our daily choices. By understanding the main causes of disease and dysfunction, we can make dietary and lifestyle choices that promote longevity. Some foods - or more accurately, some heavily adulterated foods and food-like chemicals - are capable of causing direct injury to our cells. Other highly processed foods cause indirect injury to our cells by deteriorating the health of our major organs and blood vessels. A gross physical injury like a strained back or sprained ankle is an obvious cause of dysfunction. What's not so obvious in such cases is that if injured joints and muscles are not properly stretched and conditioned post-injury, the result may be scar tissue formation and joint dysfunction that may cause problems with mobility and flexibility over the long term. Examples of repetitive stress injury include back and shoulder pain from wearing a backpack over only one shoulder, a strained neck from talking too long on the phone while leaning to one side, and carpal tunnel syndrome from typing too long with our wrists over-extended. Emotional injury refers to cellular damage that is caused by chronic emotional stress. As a direct cause of disease and dysfunction, this category is not given the attention that it deserves because it's difficult to come up with standardized treatments that can address every person's personal sources of anxiety and fear. My view is that our emotional health status is the single most important determinant of our overall health, since it's the foundation from which all of our daily choices are made. Plus, our emotional health status affects the tone at which our autonomic nervous system hums day and night. And over many years, the tone of our autonomic nervous system is a huge determinant of our overall health status. In an early draft of a report issued in the spring of 1990, the Environmental Protection Agency (EPA) in the United States recommended that electromagnetic fields (EMF's) be classified as a class B carcinogen - a probable human carcinogen. Unfortunately, by the time that the EPA released the final draft of this report, the words "class B carcinogen" were deleted. "In conclusion, several studies showing leukemia, lymphoma and cancer of the nervous system in children exposed to EMF's, supported by similar findings in adults in several occupational studies also involving electrical power frequency exposures, show a consistent pattern of response that suggest a causal link." There is plenty of evidence in the scientific literature that has me convinced that electromagnetic fields can be a significant cause of disease and dysfunction. X-rays, mammograms, and other forms of ionizing radiation are also capable of accelerating disease and dysfunction. Talking for long stretches of time with a cell phone pressed against our heads. Living close to cell phone towers and broadcasting antennas. Working for many years in a profession that involves being in close proximity to devices that emit ionizing radiation. Regularly lying in tanning beds. With each passing year, electronic devices like flat screen TVs and computer monitors are becoming bigger and more pleasing to the eyes. While all of these devices are not guaranteed to emit significant amounts of electromagnetic radiation, common sense dictates that it's wise to be modest in our choice and use of all devices that require electricity to run. Exogenous toxins are chemicals that are made outside of our bodies that can harm our cells if they are ingested, inhaled, or absorbed into your bloodstream. While it's unrealistic to live and work in an environment that is completely free of exogenous toxins, we can minimize our exposure to exogenous toxins by being aware of the most common household toxins. Over-the-counter, prescription, and recreational drugs are all exogenous toxins. Endogenous toxins are toxins that are produced inside of the digestive tract by microorganisms. While some endogenous toxins are eliminated as gas, some make their way into our bloodstream by traveling through our intestinal walls, and once they make it into our bloodstream, they can access our cells and contribute to toxic burden. The best ways to minimize the amount of endogenous toxins that are produced in our digestive tracts are to chew our foods well, eat mainly fresh, minimally processed foods, and ensure exposure to friendly bacteria. To be optimally healthy, our cells need enough energy (calories) to carry out everyday metabolic activities - these calories are obtained by burning one or more of the following macronutrients: protein, fat, and carbohydrates. 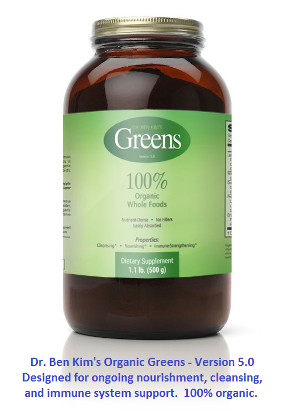 Our cells also require a steady supply of the following micronutrients: vitamins, minerals, and enzymes. And to be optimally healthy, we require adequate intake of water, fiber, and phytonutrients. Phytonutrients are organic components of plants that are not essential to health, but are needed to experience optimal health; examples of phytonutrients include flavonoids (found in citrus and acerola cherries), carotenoids (found in carrots and spinach), and indoles (found in Cruciferous vegetables like broccoli, cabbage, and cauliflower). The best way to ensure optimal nourishment of our cells is to eat nutrient-dense foods - these are foods that are highly concentrated in vitamins, minerals, enzymes, and phytochemicals. Nutrient-rich foods include fresh vegetables, legumes, fruits, whole grains, nuts, and seeds. Organic eggs and wild fish are also healthy, micronutrient-rich foods that are well tolerated by many people. A good way to become deficient in the micronutrients that we need to prevent disease and premature aging is to eat highly processed foods that fill us up but don't provide us with substantial amounts of natural micronutrients - soda and foods that are made with white flour belong in this category. If we regularly eat micronutrient-rich foods but want extra insurance against developing nutritional deficiencies, we can include nutritional supplements made with whole foods in our diets. Adequate physical rest is critical to preventing premature disease and dysfunction, as the endocrine system relies heavily on restful sleep to function properly. Adequate emotional rest goes hand in hand with the section above on emotional trauma. Taking time to rest the mind and nervous system via meditation, prayer, journaling, or any other activities that help us feel calm can promote optimal autonomic nervous system tone, which is an essential requirement for getting and staying well. Promoting optimal vitamin D status by exposing skin to sunlight without getting burned has been receiving tremendous support from the research community over the past several years. Vitamin D supports several major organ systems, including our nervous, immune, and skeletal, and cardiovascular systems. Optimal health also requires optimally oxygenated blood, which is only possible when we have regular access to fresh air. We must not overlook the importance of sleeping in the presence of fresh air. Consistently feeling loved and cared about is essential to preventing disease and dysfunction as we age. If you can't accept this without a long list of footnotes of studies that support this notion, have a look at Dean Ornish's book, Love and Survival. As discussed in the section on emotional trauma, making healthy choices is easiest when we have a foundation of good emotional health, which includes a sense of purpose for our lives. Our unique life purposes don't have to involve anything on a global level, or even a small rural town level; the idea is to feel content with our daily efforts to be kind and helpful people. Where do our genes fit into our risk of developing disease and dysfunctional cells? Like our emotional health status, our genetics serve as a type of foundation that all of our daily choices build upon or tear down. In the vast majority of cases, genetic predispositions for specific health challenges like breast cancer, endometriosis, prostate cancer, colo-rectal cancer, and other conditions that are often described as having strong genetic components can stay dormant if we minimize our exposure to the major causes of disease discussed in this article, and if we consistently make health-promoting choices. So now that you know the major causes of disease and dysfunction, how about some guidelines for making positive choices? This part is simple. Regularly include the foods mentioned in the Full Body Cleanse Diet in your daily regimen, and adopt some or all of the lifestyle suggestions found here: Full Body Cleanse Lifestyle. Not all of us may make it to 120 years of age, but by understanding the main causes of disease and dysfunction, working on staying emotionally balanced, and making sensible choices each day, we can have peace of mind in knowing that we are maximizing our health potential. I came from a disfunctional home and was always sick. I had TB at the age of 15. I was always unhappy and let things bother me. At the age of 30 I had cancer of the womb. I decided if I wanted to live very long, that I had better learn to take care of myself. I had my womb taken out but I also started taking supplements and trying to eat better. I am 62 now, and except for stiff sore muscles that nothing seems to help, I am in pretty good health. I have also learned to not let things bother me like I used to. I was under a lot of stress when I had the two diseases and feel that was more my problem than anything. Actually, the article does mention nitrites and hot dogs etc. listed above under "Injury - Cellular Damage by Unhealthy Foods"
I came across a therapy recently discovered that advocates the importance of Far Infrared Rays... FIR (4 to 16 microns) that are present in the rising and setting sun. These rays are as important for sustaining life as air, water and food. These rays penetrate our bodies and activate the cells and improve their function. If exposed to these rays on regular basis, due to the improved activity of the cells the organs function in the manner they are supposed to and the general health improves. Due to the modern urbanization the exposure to the sun is minimal and the reason for the increase in the ailments in the recent times. To overcome the situation some Asian scientists have discovered and developed a powdered mixture of some types of sands from the ocean beds, some oxides and minerals that generate FIR at 37 degrees, the human body temperature. They call this material, bio-ceramics. In other words this bio-ceramic during the contact with human body generates FIR waves which penetrate human body due to the resonance with FIR generated by the human body (4 to 9 microns) up to about 7 cms and activate the cells in their path. 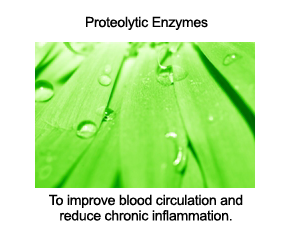 This causes increased cell activity (due to water activation). The toxins are also slowly removed, that are blocking the cell walls preventing nutrients and oxygen from the blood reaching the cells. The same action takes place in the blood stream improving the circulation due to activation by FIR. RBCs and WBCs also get activated. Cells, all over the body resume receiving the nutrition and oxygen and the organ systems start behaving the way they should. The result thereafter is positive. The bio-ceramics are provided in the form of inside layer in the garments and beads. I have been using some of the garments and have been experiencing all over improvement in my health. My BP is normal. Eyesight has improved. Skin blemishes are taken care of. And I am more than happy at my age – 70 years. I will be happy to receive more information on the efficacy of this therapy. Good article. Not many would include electromagnetic injury, which is becoming an ever growing threat.Emotional and spiritual health are also important inclusions. Needs to be updated. You mention good bacteria, but the role of the microbiome is much greater than what is written here. They help digest food and provide enzymes, vitamins, neurotransmitters, and even redox molecules and microRNA that affect gene expression. They are an important part of the immune system. Fermented foods and prebiotics are vital omissions.